Accounting is one of the sub-disciplines of Business Administration. 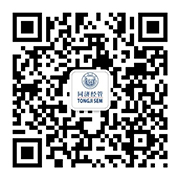 Tongji University started this master’s program of Accounting in 1998. In terms of academic research, this program focuses on the forefront issues of accounting theory, auditing theory, the international accounting, and financial management, etc. It has established stable research relationships with many universities overseas, such as in Germany, France, United States, and Australia, etc.